We need to engage all employees better in performance management while also striving to make employee engagement more engaging. 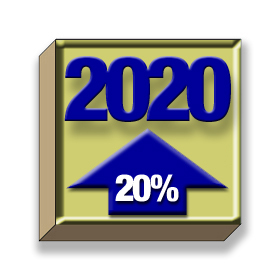 Does your performance management system connect, excite, energize, and engage? Does it improve both people and performance? David Zinger is a global employee engagement speaker and expert who teachers the pyramid of employee engagement to help managers and organizations increase engagement, performance, and results. My new free eBook Waggle is available today. You will enjoy this short book with so many images and insights. It looks great on an Ipad, tablet, or smartphone. This book based on spending 3 summers with honeybees, office objects, and computers offers you 39 ways to improve work based on 13 Waggles. I encourage you to read the book, put an action into practice, and act like a honeybee by passing the book on and pollinating these ideas with co-workers, friends and other organizations. To read or download the eBook click on the cover below or click here. I have been to a lot of conferences and witnessed many presentations on employee engagement. I have spoken on employee engagement on at least 200 occasions. The best presentations engage the attendees with each other and with the topic even in a one hour keynote. We don’t need 100 PowerPoint slides and the speaker rattling off statistics about engagement like an auctioneer voicing bids at an auction. We need to ensure that employee engagement sessions transform the noun of engagement into the verb of engage. Here are 9 things I do to make sure they speech is engaging. I use just one slide or no slides. This also help me to ensure that I don’t try to cover too much. Many times I tell audience when I show my first slide that this is my first slide and only slide. I have had audiences applaud then they hear it is just one slide. I find that audiences often prefer one slide to no slides because it gives them something to look at. 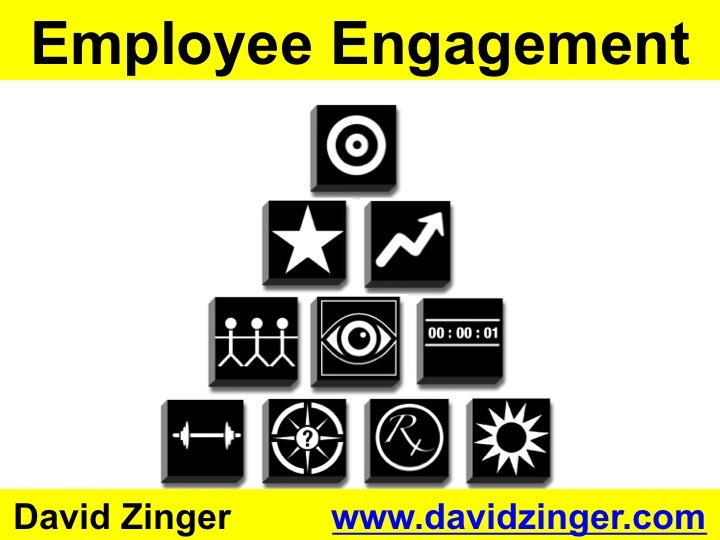 This slide I use most is the Pyramid of Employee Engagement. See this slide at the end of these 9 points. Within every 15 to 20 minute period I encourage the audience to engage in an exercise to bring the concepts or practices to life. I never make my audience engage in an exercise or meet with a partner. I invite them to do this and respect their choice not to engage. Real engagement starts with authentic and compelling invitations. I offer online resources people can use to get more information after the speech/facilitation so that they don’t feel compelled to write everything down. I rely more on stories than statistics and each statistic should have a story behind it. I voice tentative statements so that audiences can determine for themselves if the ideas or practices are viable or valuable. We learn in a richer more expansive way when we are given good tentative information. I honor the experience that many people will learn more by what they say than by what they hear. My VIA signature strength is humor and playfulness so I ensure my speeches have both humor and playfulness built in to the design and delivery of the session. By the end of the speech I know I have been successful if I have a hard time getting the audiences’ attention back from an invited exercise because they are so engaged with what they are doing. David Zinger is an expert global employee engagement speaker and consultant who brings the engagement down to earth while striving to enliven the pyramid of employee engagement to help leaders, managers, and organizations increase engagement and results while also building relationships. David has worked on employee engagement from Winnipeg to Warsaw, Saskatoon to South Africa, and Boston to Barcelona. In 2013, David has spoken in Delhi, Mumbai, Pune, Berlin, New York, Chicago, and Toronto. This is cheating but I feel so right in doing it that I will go ahead and cheat. 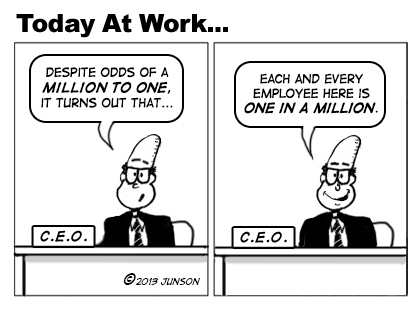 John Junson, the Employee Engagement Network weekly resident cartoonist, has just published cartoon number 360 on the network. He has completed a full circle of 360 cartoons. His work is exceptional and he now performs cartooning and design work for many other members of the network. I encourage you to contact him to create some great cartoons or design images for you with the same quality I have admired and appreciated for many years. Yes, John created the logo above about five years ago for another project we worked on but most of his design and cartoon work is timeless. He also created some wonderful images for my new eBook, Waggle, including the great image of one bee in the picture below. John is one in a million. Here is the cheating part, I am using his latest cartoon to recognize him, without the humor, as he truly is one in a million for customized cartooning and design. John was my neighbor almost forty-five years ago when I moved to Winnipeg to complete grade nine! His mom made him take me to Bruce Junior High and even today he is schooling me on humor, cartooning, photography, and design. Thank you John. I know my work would not be what it is without your work. By the way, if you want to contact John Junson for design or cartooning, email me: david@davidzinger.com and I will connect you to him. GEMO completion mantra. Have you found GEMO? Use GEMO to create quick action and engagement. With GEMO, you don’t need all your ducks in a row, you need to be able to create steadily improving iterations by completing a performance with the inspiration of Good Enough, Move On. The GEMO Advantage. GEMO is an acronym for Good Enough, Move On. It helps avoid perfectionism, dithering, delays, and other productivity traps and snarls. Practicing GEMO. Here is how you practice it. You start working at a task, you begin to run out of steam or you know more needs to be done but there are other projects and things that need to be done so you say, GEMO. You move on and you know you can come back to it and improve it later. A GEMO artist does not believe in perfection but believes in things being good enough, being willing to move on, and recognizes you can return and make it better. Project Managment GEMO. It can also be very helpful to GEMO with partners to avoid becoming bogged down in a task or engaging in discussions that produce no results. GEMO may not occur at the end of project management but GEMO could help a project team from getting bogged down and not moving closer to the targeted results. Good may be good enough. GEMO is not used to avoid work but to recognize there is always something more that could be done in this age of constant and never ending improvement. Yet, sometimes good, is good enough…at least for now. To obtain an outcome that is good enough. Satisficing action can be contrasted with maximizing action, which seeks the biggest, or with optimizing action, which seeks the best. In recent decades doubts have arisen about the view that in all rational decision-making the agent seeks the best result. Instead, it is argued, it is often rational to seek to satisfice i.e. to get a good result that is good enough although not necessarily the best. Preventing writing blocks. Satisficing was a good approach for writers to avoid perfectionism and to finish the first draft. It was very helpful for writers who experienced writing blocks or writing reluctance to get the first vision out and realize they can return for multiple re-visions. You must be cautious with GEMO – you are not avoiding something rather you acknowledge it is good enough for now. it may be just what you need to increase your productivity. This post at an example of GEMO. This post could be better but it is good enough —time to move on. My first iteration of this article appeared in September of 2007 when I was co-writing Slacker Manager. Back then, it was Good Enough, I moved on. Now, I have returned to discuss GEMO as a an employee engagement tool.